Heartbreaker: I don’t usually watch subtitled films but there was a 2 for £10 offer in HMV and this caught my eye. I’m so glad I took the chance as I loved it! Funny and romantic, it was really enjoyable and quirky, telling the story of a man who gets hired to break up relationships but ends up falling in love himself. recommended. The Lovely Bones: the 2nd DVD I brought on the offer. I haven’t read the book so I can’t compare the two but I thought the film was well made. The story if a murdered girl looking down on her family in an in-between world was emotive and bittersweet. The visuals of the almost-heaven world were beautiful but seemed to be used at the expense of tidying up some plot strands. overall, a good watch but I’m not sure I’d sit through it again. I listened to James Blunt’s album ‘Some kind of Trouble’. I’ve never been a big James Blunt fan but I love his new song ‘Too Far Gone’ so I got the album. Much livelier than his previous work, I really enjoyed this. My fave song was ‘If time is all I have’ a lovely ballad with beautiful lyrics – If time is all I have, I’ll waste it all on you. This was a lovely young adult book in the form of a journal written by Jenny Copper – Jane Austen’s cousin and teenage best friend. The story recounts the time when she lived with the Austen’s when she fell in love. As an account of Jane Austen, I’m not fully convinced at how true it is – names of family and friends are from her life but there were too many plots from Jane Austen’s novels and traits from her novel characters in her fmaily for me to be realistic – did Jane have to take things from her life or could she just have just used her imagination? If you put that aside and juts enjoy the book as fiction, it’s a good read with lovely illustrations and a glimpse into what life was like back then. Plus a happy ending – all good! This is the first novel in a series about a school for girl spies. Far fetched yes but funny and fast paced – a real page turner. I loved the style of the book and the humour – it was a cross between Alias and Clueless. I will be buying the next one for sure! 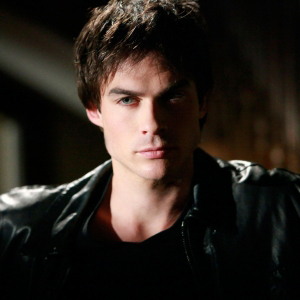 I preferred Damon over Stefan too…tee hee! It’s nice to have a relaxing one! All I did this weekend was watch the show Lost and go to church. I should’ve done some more productive things but Lost is so addicting! Oh, I guess after church I hung out with my friends for about an hour at a coffeehouse too. Which was lots of fun! I’ve never got into Lost, maybe I should! I love getting hooked on series, I might check it out when I’m done with supernatural. 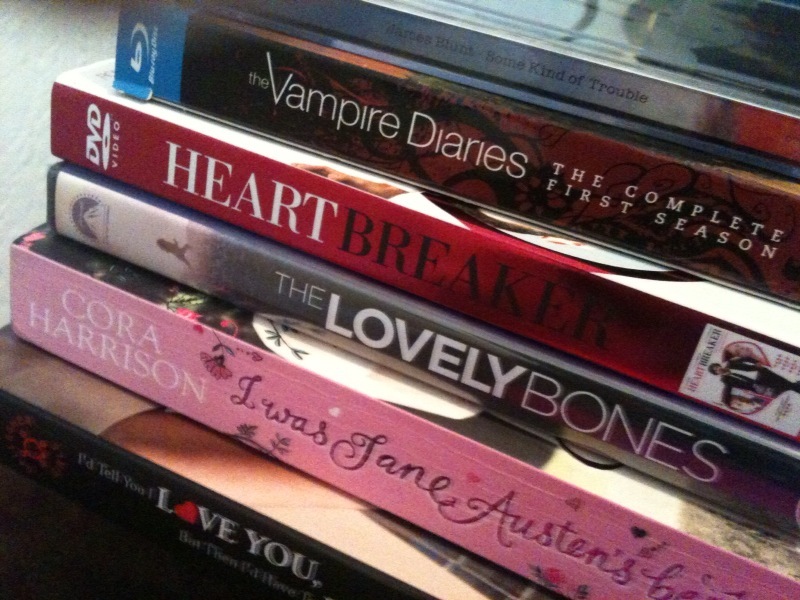 I’ve been curious about the Vampire Diaries. I’ll have to Netflix it! You should def give it a watch!